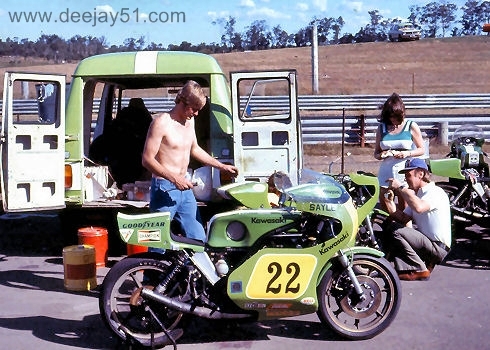 LAKESIDE - 1976: Lakeside is located in Brisbane, Queensland. 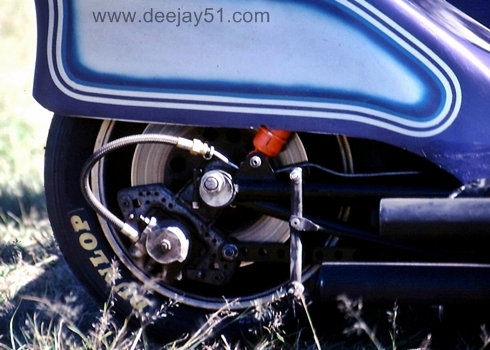 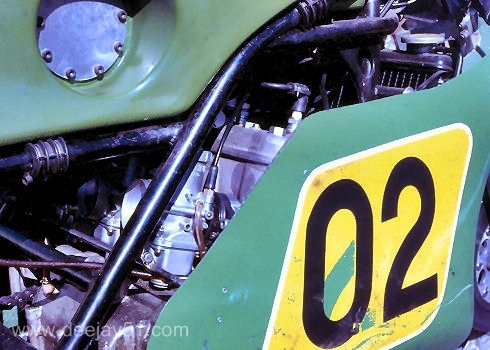 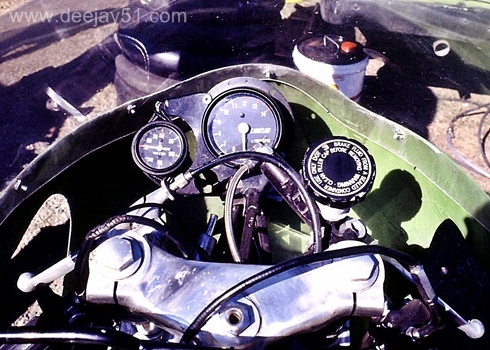 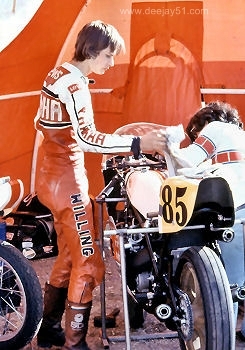 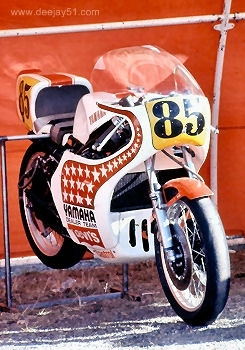 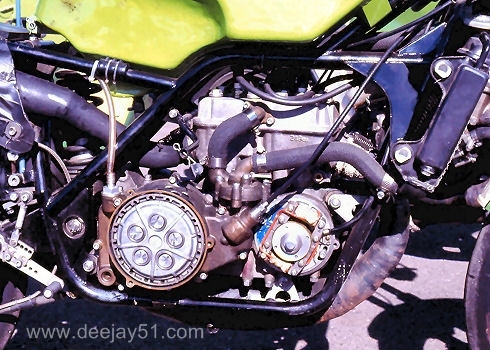 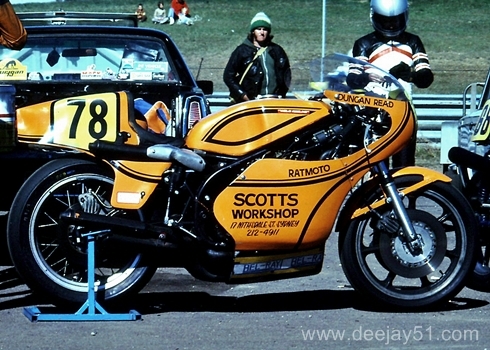 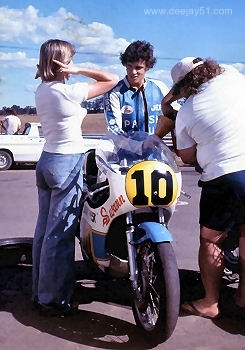 The following are images from the pits in August 1976. 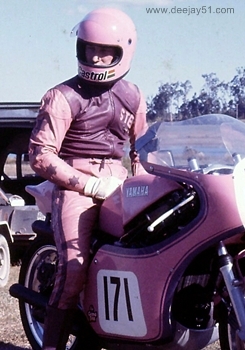 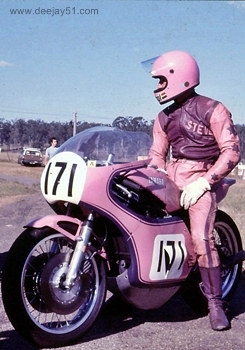 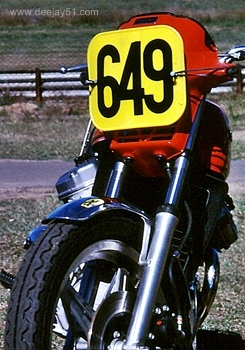 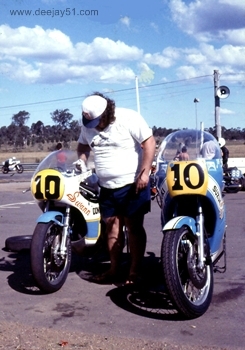 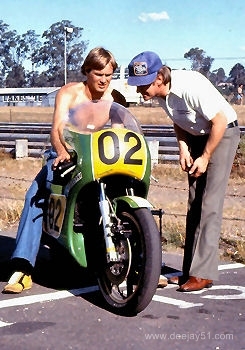 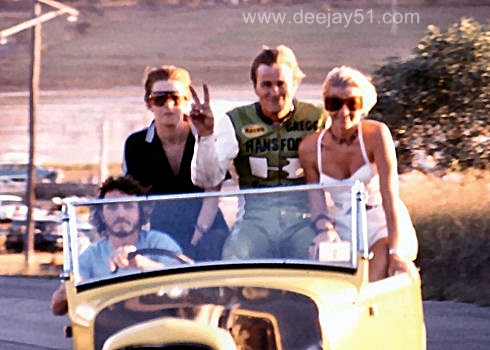 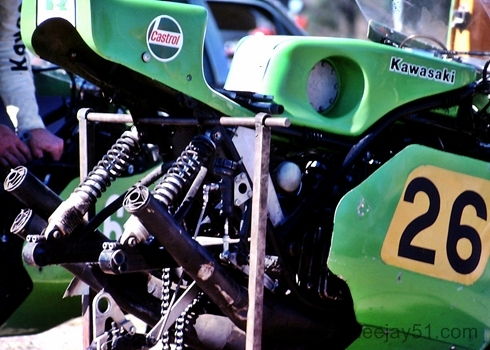 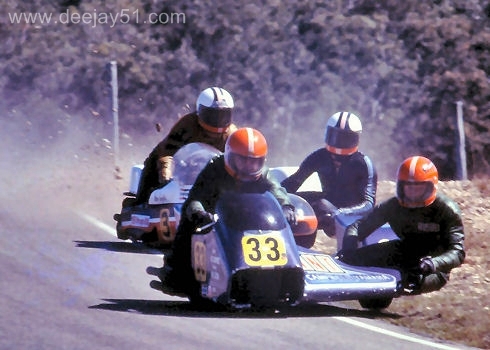 Neville Doyle, Gregg Hansford and Warren Willing showed the intensity that carried them all forward in subsequent Australian and International events. 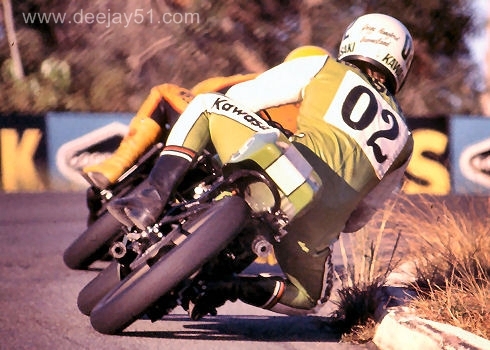 NEVILLE DOYLE AND GREGG HANSFORD!! 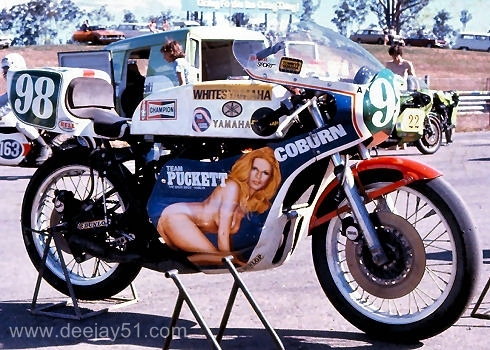 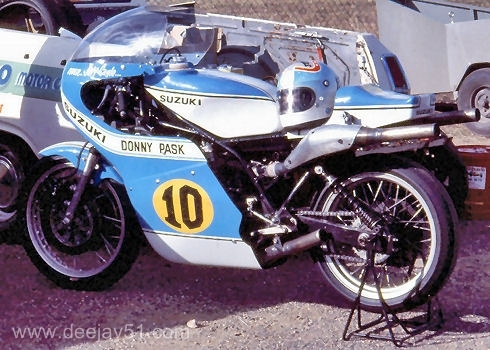 #98: THE VAUGHAN COBURN/TEAM PUCKETT TZ, PRICELESS!! 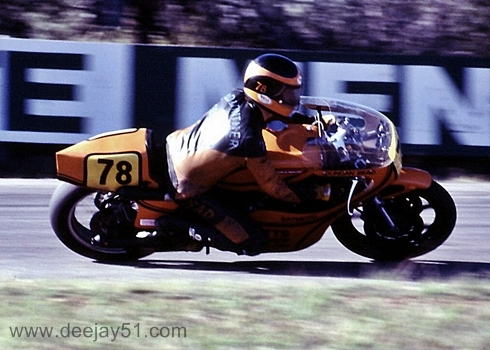 LAKESIDE - 1977: The main protagonists at the 1977 event I attended were Gregg Hansford, Geoff and Murray Sayle and Ray Quincey, I recall Ray had a big 'off' at the Lake Corner in practice. 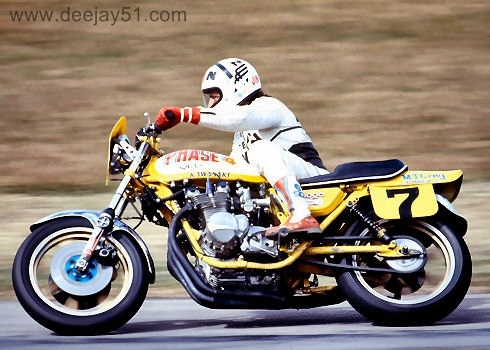 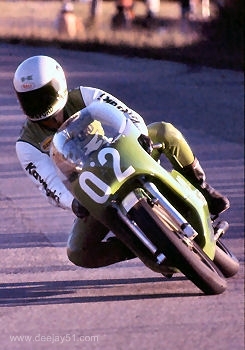 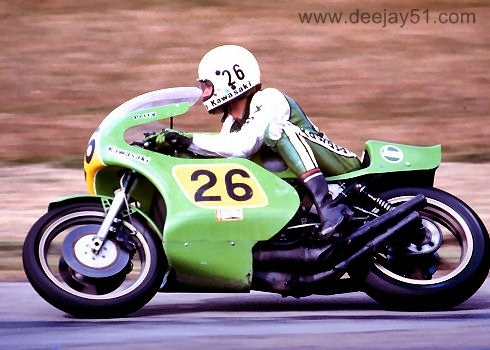 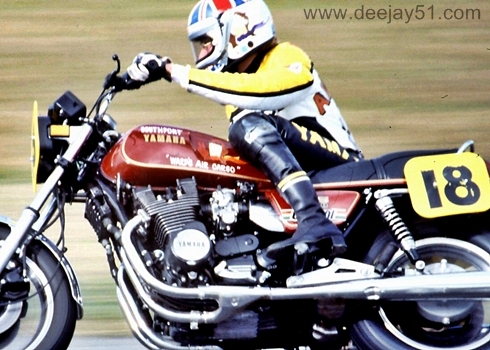 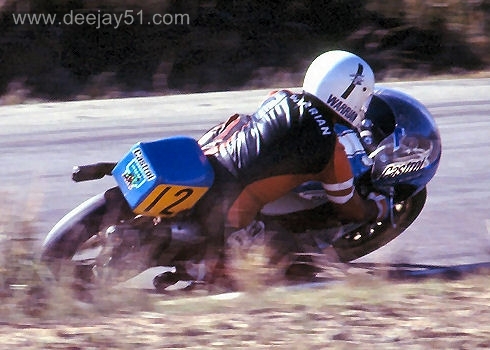 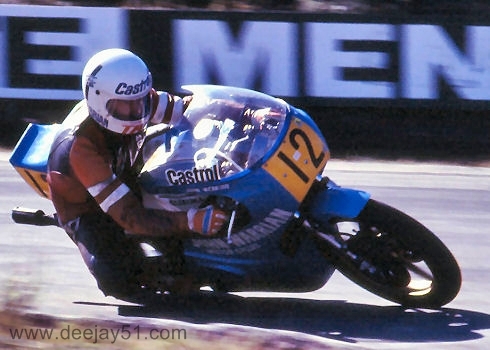 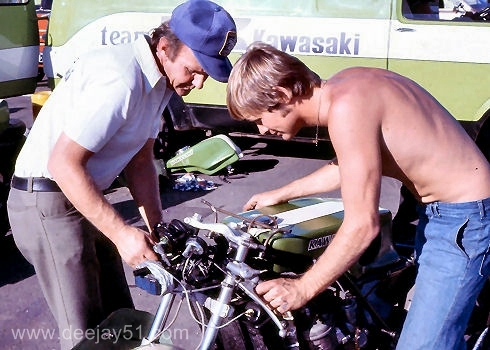 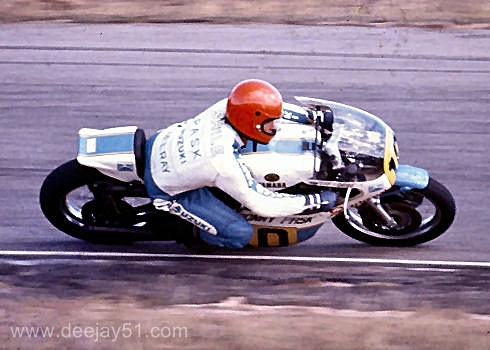 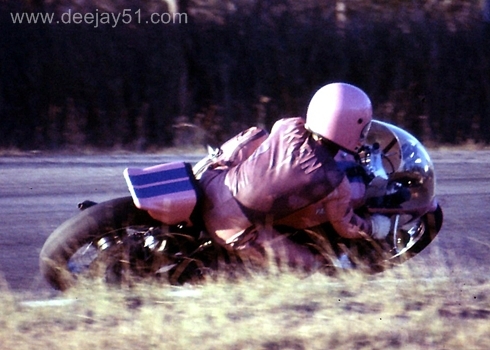 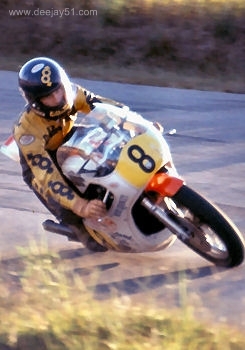 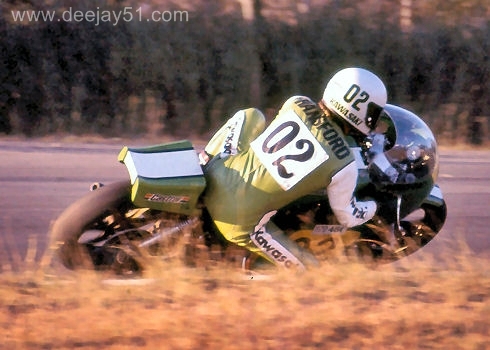 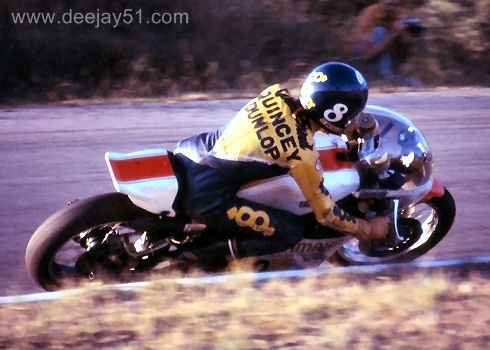 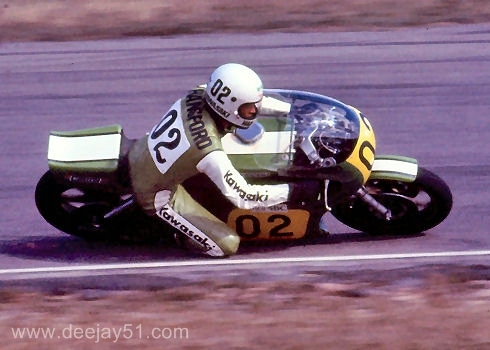 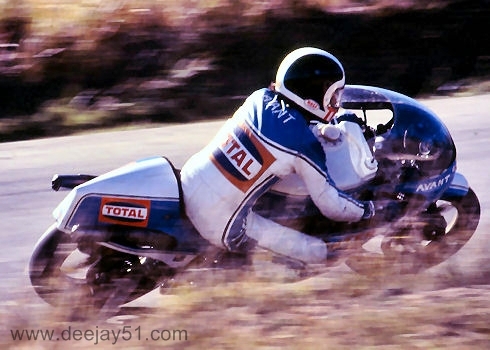 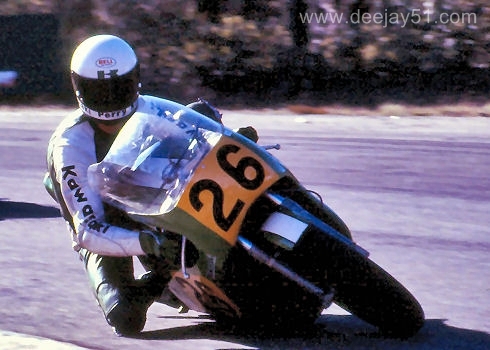 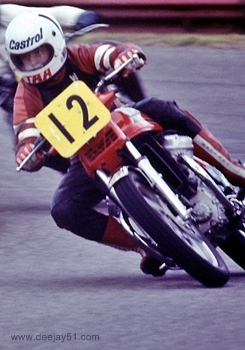 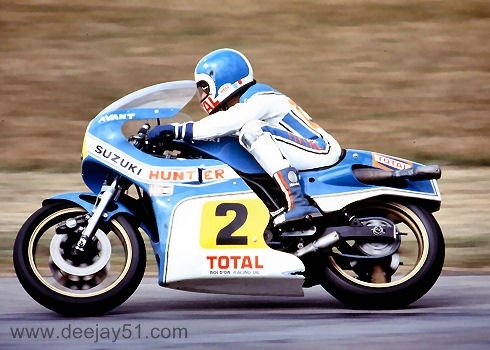 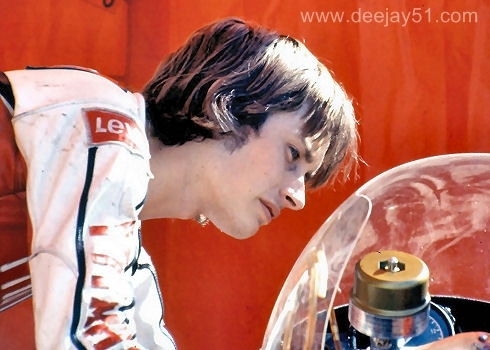 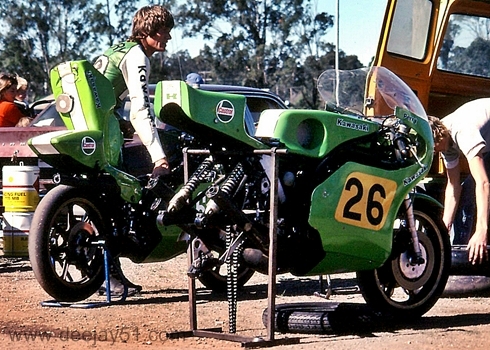 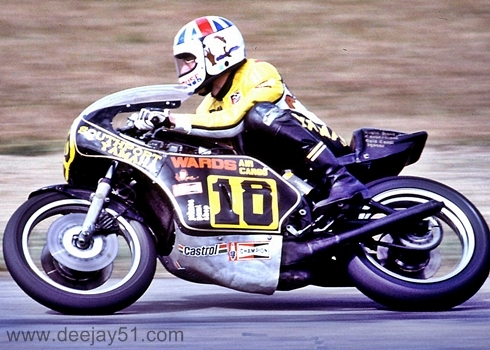 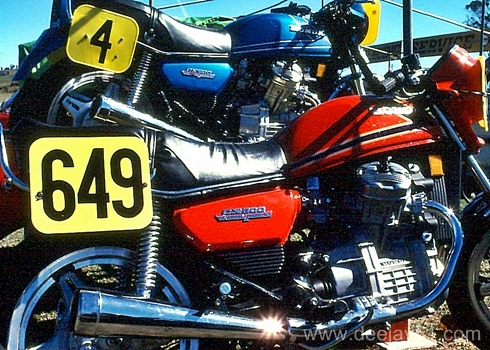 Gregg was unbeatable on the 'tandem' tiddler KR's. 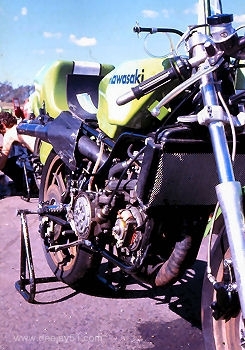 LAKESIDE - 1978: Solos recorded here include Rick Perry, (Rick took over the 'Green Meanie' effort), Stu Avant, Jim Budd and John Warrian. 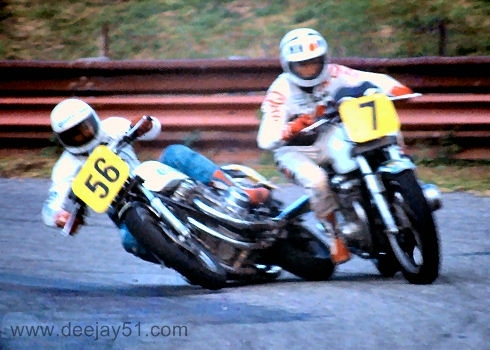 #7: JIM, OUCH IN THE PRODDIE RACE. 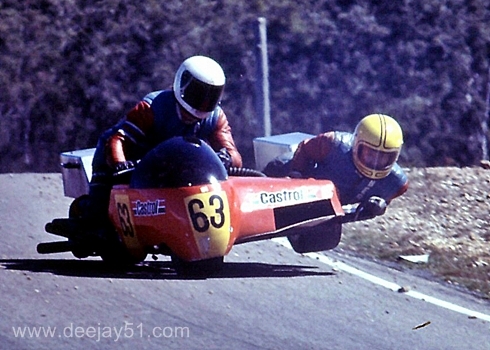 LAKESIDE - 1978: Sidecar action including Alex Campbell. 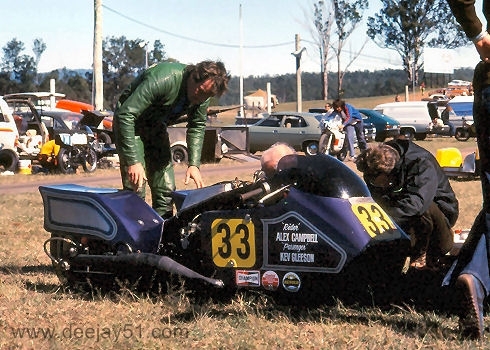 #33: ALEX CAMPBELL AND KEV GLEESON'S PIT AREA, UNDER THE TREE!